We recently made some updates to our Wisconsin Geospatial Jobs page that should be of interest to college students looking for hands-on experience. We frequently post internship opportunities on our jobs page (13 listed as I write this), but up until last week they were co-mingled with other job opportunities. We now have a “filter by” option available on our main jobs page for viewing jobs by different type, including internships. Even better, we created a standalone page just for internship listings. 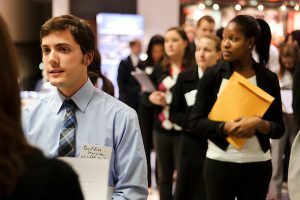 We hope this makes it easier for students to land a great internship. We currently have 650 people signed up to receive an e-mail notice when we post new jobs of any type (full time, part time, internship, etc.) on our site. We now have an alert service focused on internships. Check out our Job Alerts page for more details on how to sign up. Since 2001, we’ve posted nearly 3,500 listings for geospatial jobs in and around Wisconsin. This is a free service for both both employers and job seekers. Simply send your job announcement to sco@wisc.edu and we’ll handle the rest!